Football is all about playing together as a team and therefore it is important to contribute with your part on the pitch. The new adidas Team Mode Pack gives the adidas boots their own unique and colorful colours, which lies close to the way the playing style of the players. 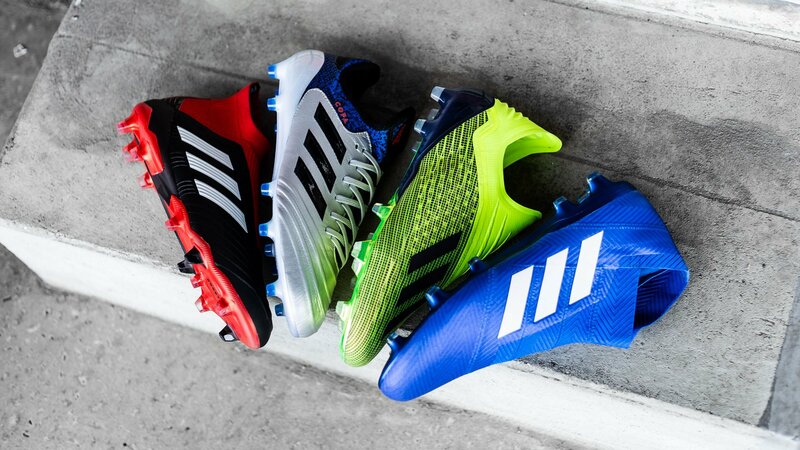 Is there a better way of starting your season, than with new, fresh and colourful boots? We can’t, and that’s why we are so hyped about the adidas Team Mode Pack. adidas has given us a full pack with unique colours for each of their boots, while the Messi 18.1 will be included in the Team Mode Pack. So, what’s not to like! Let’s run through the boots and their new colours. 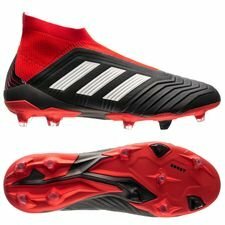 These two boots might be the most liked boot of all on the market at the moment, and it’s not hard to understand why adidas has given these boots the most awesome colours of the pack. 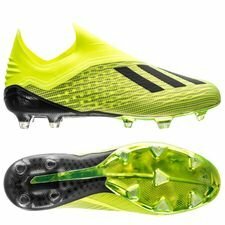 The adidas X boots will feature a striking Volt colour with a black finish, which is a combo that is so fine. adidas X 18+ got introduced before the World Cup, and you can almost feel that new Skeletalweave construction when looking at the new colours. People are going to have a hard time taking their eyes of Bales, Jesus and Suárez when they sprint past the defenders with lightning speed. Taking a look on the Predators, you might recognize this colourway, or at least it might make you think of something. The black and red design makes us think back to the ’98 Predator boots, where legends such as Zidane, Beckham and Raul used at the time. The 18+ Predator is made with the same red colour placed on the collar and soleplate, while the solid black tone is placed on the upper. This gives the Pogba, Alli and Rakitic a clean look, when they create the plays that makes them the legends of tomorrow. One of the most underrated boots, the Nemeziz 18+, has also been given a new and solid colourway. Made for the most agile players in the game, who defines the game with their unpredictable moves. 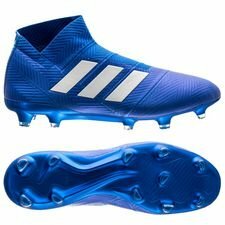 The Nemeziz has been given a fresh blue colourway. But this pack also includes a new colourway for Messi and his Nemeziz 18.1. 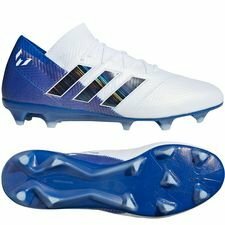 The boots will feature the same blue colour on the midfoot and heel, while the rest of the upper is made in white. 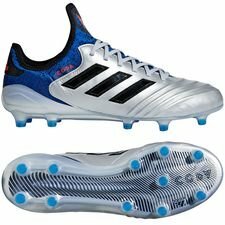 adidas has given the Messi boots a bit more love and added an iridescent effect on the three stripes. The Nemeziz boot will definitely make people remember Messis’, Lingard’s and Firmino’s name when they do magic on the pitch. The Copa 18.1 is kept to it’s traditions and been given a new stylish, simple and classic colour, which the Copa is all about. The comfortable boot, made for the players who still love their leather boots, is designed with a silver upper and with a blue touch on the tongue, heel and studs. Play a part of your team’s success in the new season with the new adidas Team Mode Pack. Pick your boot which fits your style and dominate the season. Get your Team Mode boots at Unisport. You can already now pre-order you new boots.